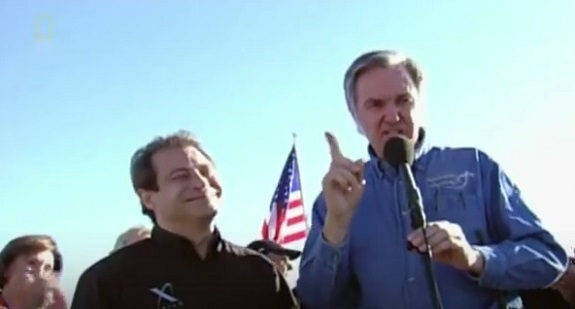 After winning the $10 million Ansari X Prize with SpaceShipOne on Oct. 4, 2004, an exuberant Burt Rutan stood on the ramp at the Mojave Air & Space Port and promised to make SpaceShipTwo at least 100 times safer than any crewed spacecraft that had ever flown. Speaking at a Space Frontier Foundation conference only days later, Rutan went even further, committing himself to having the spacecraft certified by the Federal Aviation Administration (FAA) just like a commercial aircraft. “You have to have certification, and it’s the cheapest thing you ever buy,” a confident Rutan said. “First of all, it costs you between nine and sixteen percent more because the FAA is there. Forget these guys who say certification makes it ten times as expensive. I know what it takes…. “Certification is not expensive because of the FAA. And I’ll tell you something , it’s the very best thing you can buy when you have an accident and somebody gets killed,” he added. “The plaintiff’s attorney’s job is to convince that non-technical jury that you did a sloppy job, that you didn’t do enough for his safety. In essence, certification would provide a shield against litigation if and when SpaceShipTwo killed someone. Rutan appeared more concerned about losing in court than losing a passenger. Although that attitude might have offended some, Rutan’s many fans cheered. He might say things that really hurt, but hey that’s just Burt. 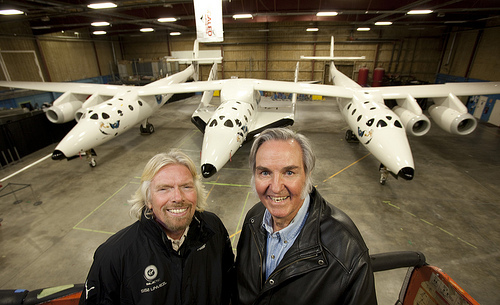 Sir Richard Branson and Burt Rutan pose for a photo in front of the SpaceShip2 resting under the WhiteKnightTwo inside a hangar in Mojave, Calif. Supporters pointed to the regulation-free era of early aviation as a model. Only through trial and error — and yes, crashes and deaths — did the aviation industry gain the experience to make flying as safe as it is today. Any effort by government to impose safety standards on commercial space would merely slow down the process with excessive bureaucracy, discourage genuine innovation, and increase costs to excessive levels. But, Congress bought the argument anyway. The hands-off approach — also known as informed consent — was the perfect expression of the libertarian, get government out of the way and let us do our thing culture of Mojave. At the time the law was passed, NASA had been flying people into space for more than 40 years. The space agency had seen the triumph of the Apollo moon landings and, earlier in 2004, the tragedy of the Columbia shuttle accident in which seven astronauts had been killed. Surely, there were safety practices from NASA flights that should be mandated by the government to make commercial spaceflight safer? Most folks in Mojave didn’t think so. Rutan was especially dismissive of the space agency, which he mispronounced as “nay-say”. Standing on the ramp immediately after winning the Ansari X Prize, he boasted that NASA and its large aerospace prime contractors were shaking in their boots over what he had just accomplished with SpaceShipOne. Within a few years, he would drive them to extinction. Once Congress eliminated his biggest fear — that lawyers would put Scaled Composites or Virgin Galactic out of business — Rutan set his sights on a much lower safety standard for SpaceShipTwo. Eager to sell tickets, Virgin Galactic did its best to ignore Rutan’s new formulation. Instead, Virgin added a zero to his original optimistic boast and claimed SpaceShipTwo would be 1,000 times safer than any conventional rocket launched vertically from a stationary launch pad. 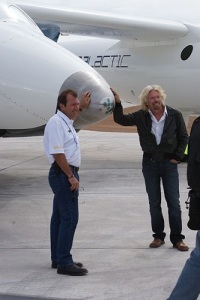 Then-Virgin Galactic President Will Whitehorn never explained where he pulled that number out from. How he could accurately estimate the safety of a new vehicle that had never flown based on a handful of flights of a much smaller spacecraft of a different design was another question left unanswered. But, Whitehorn was a salesman, not an engineer, and he was very good at his job. His claim went unchallenged. It sounded good; whether it was true seemed less important. I recently ask a friend who is an expert on the reliability of launch vehicles about what safety improvement Virgin Galactic might gain from air launch. His guessed 10 percent at most. The company was off by a factor of 100. Of course, SpaceShipTwo had other risks that were completely separate from how it would be launched. On the scorching hot day of July 26, 2007, one of those risks bit hard at Scaled Composites’ test site in Mojave. 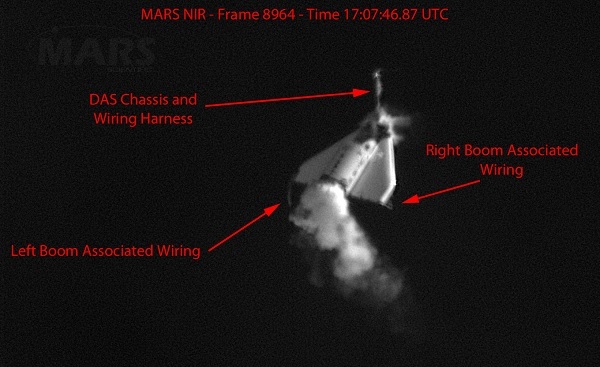 Engineers were conducting a test on a new valve for SpaceShipTwo’s hybrid motor by flowing nitrous oxide through it. It was known as a cold flow because there was no rubber fuel present to interact with the oxidizer. The test was deemed to be non-hazardous. 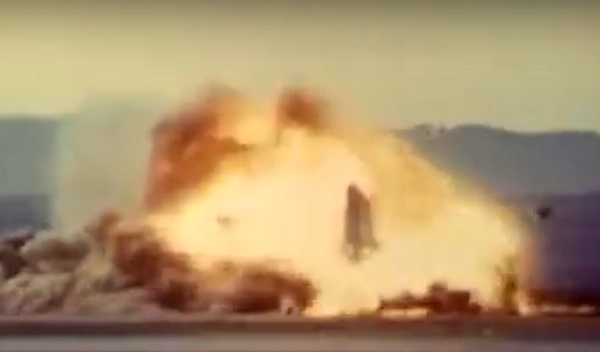 Three seconds into the 15-second test, the nitrous oxide tank exploded. Scaled Composites had not cleared the area around the test stand; 11 people were standing nearby. 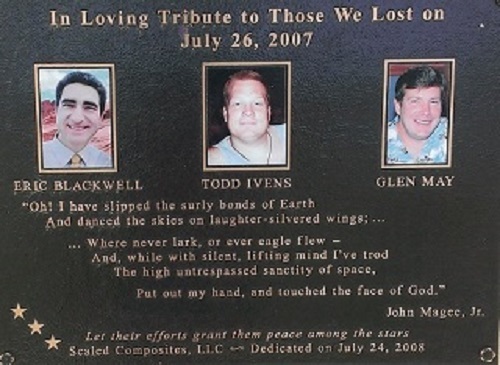 Eric Blackwell, Todd Ivens and Glenn May died of shrapnel wounds, three others were hospitalized. The accident’s root cause was Rutan’s failure to understand the dangerous nature of the oxidizer he was using for the engine. Following the accident, he said he had no idea that nitrous oxide could explode on its own. It was an odd defense; nitrous oxide is a mono-propellant, which means it can do exactly that under certain conditions. Virgin Galactic issued a brief press release that didn’t even mention the dead workers’ names. Otherwise, the company said little. Branson did not rush to Mojave to take charge of the situation as he would later do when SpaceShipTwo crashed. Both Scaled and Virgin described the tragedy as an “industrial accident”, which was technically true. Immediately after the explosion, Ansari X Prize creator Peter Diamandis claimed rather bizarrely that it would not impact the safety of SpaceShipTwo even though no one knew the cause or what it meant for the program. The deaths of the three men certainly had no impact on Virgin Galactic’s safety claims, which held that the hybrid engine was infinitely superior to liquid- and solid-fuel motors. “The oxidizer is Nitrous Oxide and the fuel a rubber compound; both benign, stable as well as containing none of the toxins found in solid rocket motors,” the company said on its website. Even as the company stressed that safety was its North Star, it was cutting back the number of powered flight tests. Virgin Galactic had told investors it planned 30 powered tests; by late 2014, it had flown only three short ones with burns lasting a maximum of 20 seconds. Only a handful of additional powered flights — using a new type of engine that burned nylon — were planned before the spaceship would be declared operational. The first commercial flight was planned for early 2015 with the company’s founder, Richard Branson, and his only son, Sam, on board. It was a prospect that frightened some people in Mojave. They worried Virgin Galactic was pushing the flight test program too far and too fast because of schedule and financial pressures. Then came the morning of Oct. 31, 2014. At 10:07 a.m. PDT, SpaceShipTwo broke apart in the sky near Koehn Lake about 20 miles north of Mojave. Co-pilot Mike Alsbury died; pilot Pete Siebold survived a fall from around 50,000 without a pressure suit. Alsbury unlocked the spacecraft’s feather system too early during ascent, causing it to deploy prematurely. The spacecraft broke up as it reconfigured itself in powered flight. The National Transportation Safety Board concluded that Scaled Composites had failed to consider that human error could bring down the ship and to safeguard against it. 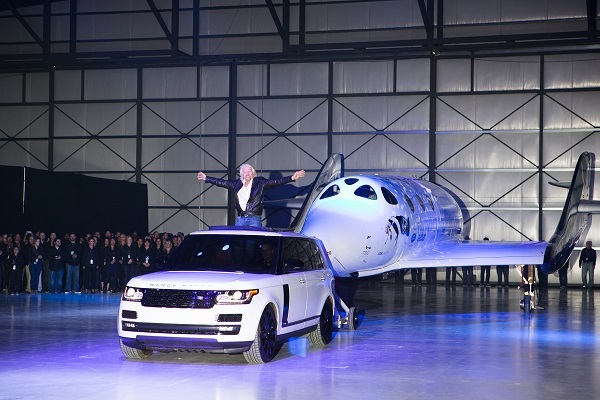 Three days after the crash, Branson abruptly reversed himself on SpaceShipTwo’s safety and embraced Rutan’s position. Branson denied this, saying that 400 “of the best engineers in the world” were working on the project and that the risks were similar to those taken by people flying across the Atlantic in the 1920s and ’30s. As Branson pivoted, Virgin Galactic had already taken steps to hide the evidence of how it had underestimated the risks. Immediately after the accident, the company took down its elaborate website, which included safety claims that went beyond what Whitehorn had said years earlier. When the new website debuted several weeks later, all the claims were gone. It was as if they had never even existed. The crash exposed what happens when marketing — which can be shaped into any irresistible form imaginable, and where words mislead and images distort — collides with the immutable laws of physics. Physics is going to win every time. When Virgin Galactic rolled out the second SpaceShipTwo on Feb. 19, officials were careful to stress the safety improvements they had made since the accident. A pin has been installed to prevent the feather from deploying prematurely. Larger horizontal stabilizers were added to the twin tail booms, new landing gear installed, and a host of other unspecified changes were made to improve safety and performance. The rubber hybrid motor would have much better performance than the one used previously. 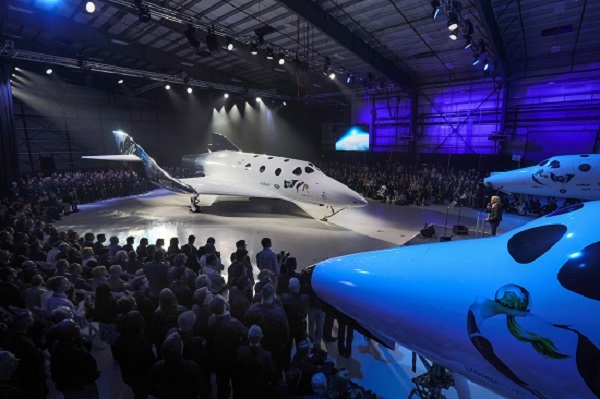 In an update published at the time of the rollout, the company stressed the extensive testing that is being done on the new spaceship and its components. Another update also focused on testing. A conservative approach to flight test would be to treat the second SpaceShipTwo as a brand new vehicle. They would put it through another full flight test program, progressing steadily from captive carry to glide and finally powered flights. Step by step, skip nothing. However, Virgin Galactic officials don’t seem to be approaching it that way. Officials talked about reducing the number of glide flights if the new vehicle seemed to be performing the same as the old one. It’s unclear whether Virgin Galactic is committed to doing the dozens of powered flights it originally promised investors. Such a flight test program would allow pilots and engineers to fully test out the spacecraft, find all the flaws, and make improvements required to make the vehicle safer. However, such a flight test program would require a lot of time and money. And Virgin’s customers — some of whom have waited a decade to fly — might be tempted to take their business elsewhere. Jeff Bezos’ Blue Origin, for example, could begin flying tourists to space aboard New Shepard in 2018. In his autobiography, test pilot Chuck Yeager wrote that flight test is a long, drawn out process that cannot be skimped on. Sometimes problems weren’t discovered until late in the flight test program, he wrote. In other cases, problems are downplayed in the rush to get an aircraft into production. So it was with the F-100 fighter. After his first flight in the aircraft, Yeager told North America’s chief test pilot, George “Wheaties” Welsh, that something was very wrong with the new plane. “Hey,” I said, “you can’t fly in formation with this thing. It has the damned sorriest flight control system I’ve ever seen.” Wheaties just shook his head. He was an old fighter jock who had shot down Japanese Zeros during the Pearl Harbor attack. “Goddamn it, Chuck, you’re just being hypercritical,” he insisted. “No, I’m not,” I said. “That airplane just isn’t stable.” Pete Everest told him the same thing. Despite Yeager’s efforts, the aircraft was put into production and about 200 aircraft were delivered to the U.S. Air Force. Then one day in 1954 Wheaties put an F-100 into a dive going Mach 1.4 and the plane disintegrated. He was killed; the flight date recorders revealed the aircraft was unstable. A F-100 Super Sabre crashes at Edwards Air Force Base in 1956. “Was Welsh just being a salesman when he accused us of nit-picking? If so, he was a fool to attempt a structural demonstration dive,” Yeager wrote. 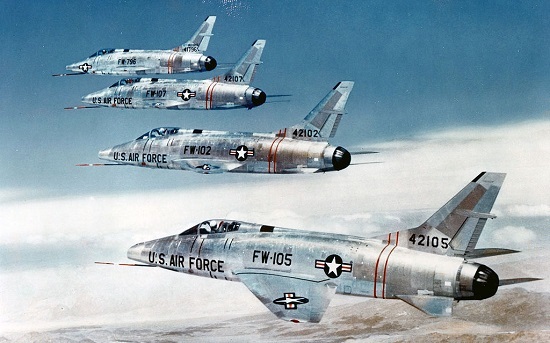 The Air Force grounded the entire F-100 fleet. The changes required to fix the aircraft’s flaw nearly bankrupted North American Aviation. It’s a good lesson. If you don’t find and correct the problems during flight tests, they will come back and bite you later. For Virgin Galactic, later is when they have a half dozen millionaires in the cabin. The company can’t afford that. If you have a few $100,000 to burn and you want to fly to the edge of space SAFELY, call BLUE ORIGIN. It is obvious that capsules with a parachute that can land anywhere is safer than a plane that must find a runway. Suborbital planes like SpaceShipTwo or Lynx don’t “drop out of space” in the middle of nowhere, they operate in the vicinity of airports (especially Lynx) and both are probably small enough to land on any bigger road. There are many factors that one needs to consider to evaluate the safety of those systems (propulsion and abort modes being the major ones IMHO). If they glide back to a landing on a runway or have to deploy parachutes would not be what I would focus on. Fact is I would hop in a new Shepard next flight, not these plane based companies. I would feel even safer in a reusable Dragon 2 with the ability to land compulsively OR parachute land. Very well-written Doug. No predictions of doom and gloom, just a caution to VG based on their own history and the history of others. Yes, with lessons for builders of other rocket planes as well. You points on the F-100 are well taken. The F-86 was also risky. The Aviation Safety Network shows over a 1,000 accidents involving it. The records for the F-100 show 217 accidents. Got into that very debate. Someone suggested that Virgin has did nothing and there is nothing to learn from them. I said at the very least it showed a pathway NOT to take. Curious about which will be easier to parachute from, a capsule or a plane. Not just “rocket planes,” but anything that will carry passengers while ascending and descending over the uninvolved public. I don’t have the same types of insight into what Blue Origin is doing as I do with Virgin, XCOR and other companies in Mojave. I can’t speak on safety or the technical aspects of things. But, I would say I’m encouraged by how they’re going about it. Step by step, lots of flight tests planned, gradual introduction of test subjects before trying to fly tourists. Updates when they have something to say, no over promising on schedule, no apparent hurry to beat anyone to space with people, etc. I think they’re going to get it right because the technology and practices are applicable to their orbital plans. The reusable nature of the system is a twist on technology going back to Alan Shepard’s flight. The technology is well understood. There’s a pusher escape system in case there’s a problem with the booster. It’s all good stuff. We’ll see how the test program plays out and how well they do when they decide it’s time to launch tourists. Thank you for the article reminding necessity to test thoroughly every novelty in a vehicle to be used by people. VG and XCOR planes are substantially new means of transportation still waiting of full flight testing. Parachutes are just low performance wings made of fabric. Don’t forget New Shepard. If that craft’s chutes don’t open, it’s passengers have only seconds to say goodbye.